Take the edge off the Whiskey Wedge; the artful way to perfectly chill, but not water down your favourite spirits. 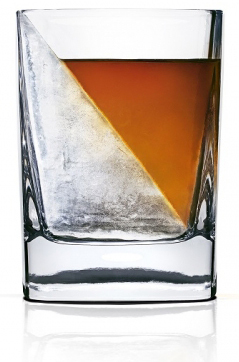 Designed to melt much slower than smaller traditional ice cubes, Whiskey Wedge helps retain your drinks flavour. Each unit comes with one Double-Old Fashioned Whiskey Glass and one silicone mould. Simply add water into the double-old fashioned whiskey glass, insert the mould, then freeze. The ice forms into a wedge and, similar to a glacier, melts slowly due to the reduced amount of surface area. 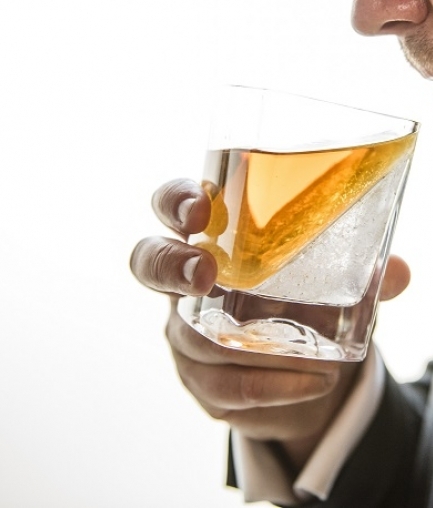 Drink with your favourite liquor, liqueur or cocktail for all the taste advantages of “on the rocks”. It’s the perfect gift for any whiskey, bourbon, scotch, or tequila drinker.